Home Tips and Tricks Utilizing GUID’s for Importing Data to Multiple Orgs in Dynamics CRM 5 people are discussing this now. Do you have multiple entities in your Dynamics CRM system that are simply used for look-ups? Or maybe you want to replicate data across multiple orgs, but have workflows that specify specific records using lookups? This can be a hindrance when you have to move these workflows from one CRM organization to another, because the look-up value (label) may be the same from one CRM organization to another, but the GUID will be different because it was more than likely imported/entered manually. Did you know that the “Out of the Box” Data Import Wizard can help you keep the GUID (Primary Keys) Synchronized over multiple CRM organizations so you don’t have to keep updating workflow look-ups each time you move them from Development > QA > Production? Determine which organization will be the Master (Usually the development Organization works best). Enter or Import all values for the Entity. Save the file to your Desktop (Or somewhere you will remember). Open the Import Wizard in your target organization. Choose your Data Map – (Default (Automatic Mapping) works slick if you don’t have one already). When setting up your field mapping, simply add the field containing the GUID (ONLY exported if you remember to check that box on the export of data!) to the Primary Key field of your target entity. And Next again to get past the Review Mapping Summary screen. And there you have it…synchronization is now complete! 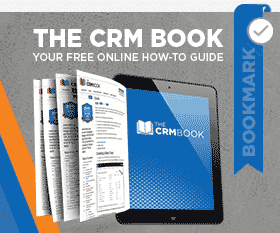 If you have any more data import questions make sure to check out our blog focused wholly on Dynamics CRM or stay up to date via our CRM Book. Happy CRM’ing! by Joe D365	June 20, 2014 5 people are discussing this now.